There is a shroud of mystery surrounding the Islamic State due to its isolation from the rest of the world. To a certain extent, the Islamist extremist organisation is a de facto state that has political and economic control over expansive territories in Iraq and Syria. It is also worth mentioning that the organisation has a pronounced purpose of unifying Islamic countries and Muslim communities under the banner of a worldwide caliphate. To better introduce itself to the world, ISIS has used the Internet and social media to distribute propaganda and other communication paraphernalia. One interesting material released by the organisation is a 10,000-word manifesto detailing the role and status of women in the Islamic State. Essentially, the document is a doctrine that orders and outlines the position of women in the emerging society created by the fledging terrorist organisation. 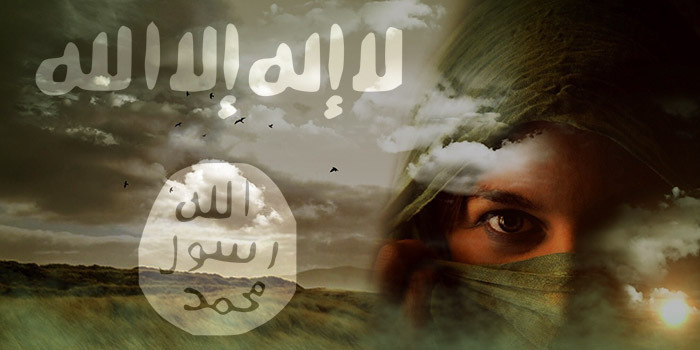 The manifesto entitled “Women in the Islamic State: Manifesto and Case Study” was translated from Arabic to English by Charlie Winter, a researcher at counter extremism think tank Quilliam Foundation, after it surfaced online earlier in 2015. Accordingly, the all-female religious enforcement unit Al-Khansaa Brigade officially uploaded this document onto an online forum used by ISIS. An interesting point raised by the manifesto undermines the accounts made by Western women who joined ISIS. It should be noted that alleged women recruits from the Western world have flooded the Internet with pictures of themselves posing with guns and suicide belts. But these images are far from reality according to the edicts presented in the manifesto. The utmost role and status of women in the Islamic State should revolve around a sedentary lifestyle, committed to become homemakers, wives, and mothers. The manifesto places a premium on being a housewife and orders women to fulfil the divined duty of motherhood. In addition, it also legitimises marriage of young girls—as young as nine. Following a strict interpretation and implementation of the Sharia Law, the manifesto is rather suggestive when it comes to keeping women from the outside world. They are prohibited from wearing certain jewellery, shaving in specific areas, and patronising beautifications. Despite these prohibitions, it seems as if the manifesto places women at the centre of families and the society granted that they remain hidden. This apparent revered status of women comes from a domesticated role centred on rearing children and attending to the needs of their husbands. Despite certain privileges to include holidays and a two-year maternity leave, the role and status of women in the Islamic State remains limited. The manifesto does not put ISIS women on equal footing with ISIS men because the two have very distinct roles under Islam. The manifesto clearly argues from the perspective of biological predisposition and familial situation. After all, if a woman does a typical day-to-day job, it would be unfair because she has her natural limitations and special biological needs. Furthermore, there would be none to look after the household and children if a woman works and rests on the same days as men. Apart from setting these limitations, the manifesto also criticised Western civilisation for promoting godlessness and materialism. Accordingly, the prevailing Western culture has caused women to denounce their divine roles and status as wives and mothers. But the education privileges granted to these women are still limited. The manifesto makes it clear that they should only pursue learning centred on religion. Those who pursue ‘worldly’ knowledge instead of the Sharia Law and Islamic jurisprudence are mere victims of the Western civilisation. As stated, women should not pursue worthless education just to prove that their intelligence is greater than men. It would be hard to consider whether the manifesto illustrates the real role and status of ISIS women, especially considering that there have been several horrible accounts of sexual abuse, slavery, and brutality directed toward women, especially among non-Muslims, infidels or Shia Muslims, and apostates. The analysis further points out that the manifesto has been written in Arabic and has depicted common gender restrictions and norms in Muslim countries under Sharia Law in order to attract women from the region, especially from countries such as Saudi Arabia. In fact, the manifesto made a side-by-side comparison between life in Saudi Arabia and in territories occupied by ISIS. Accordingly, Saudi women have suffered barbarism and savagery, been forced into poverty, and abused by the criminal justice system. It would thereby be better, as urged in the manifesto, for these women to migrate to the Islamic State and marry ISIS fighters who are dubbed as “real men” in an emasculated society. The translated copy and the accompanying analysis of “Women in the Islamic State: Manifesto and Case Study” is made available online by Quilliam Foundation. Winter provides the translation and analysis.